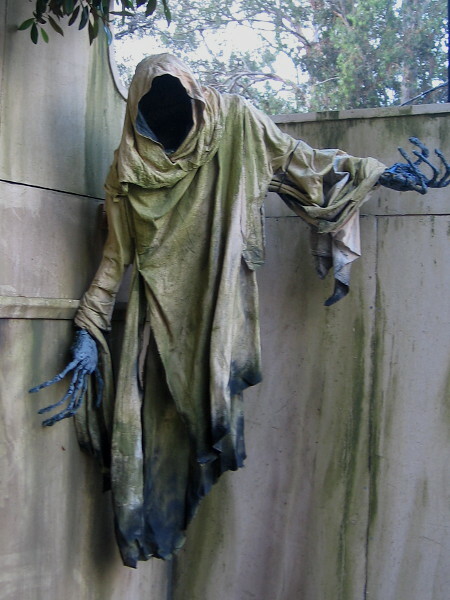 halloween – Cool San Diego Sights! Signs of autumn appear in San Diego. 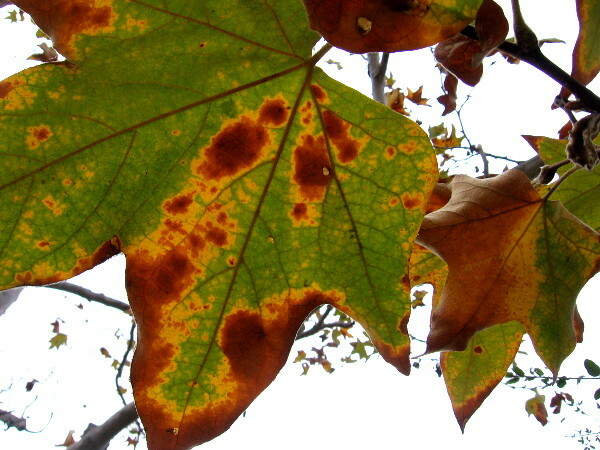 Sycamore leaves are beginning to turn along the San Diego River as autumn begins. It’s much cooler in San Diego now that summer has ended. Today the sky remained overcast. The temperature was perfect for an exhilarating walk after work. During the past few days I’ve noticed signs of autumn have appeared around San Diego. No, the palm trees haven’t turned yet. Enjoy a few photographs. And maybe a laugh! 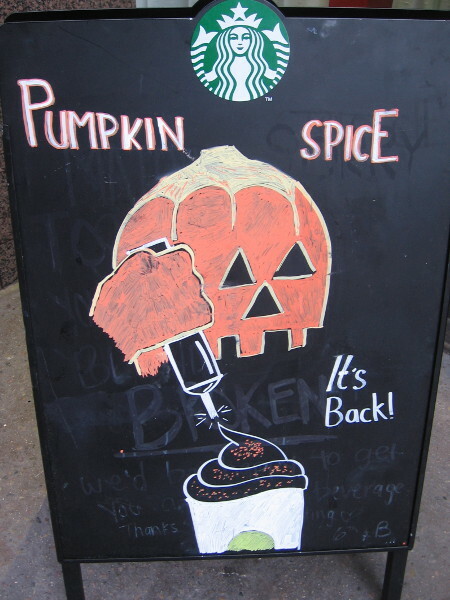 While walking downtown I noticed Pumpkin Spice is back at Starbucks. 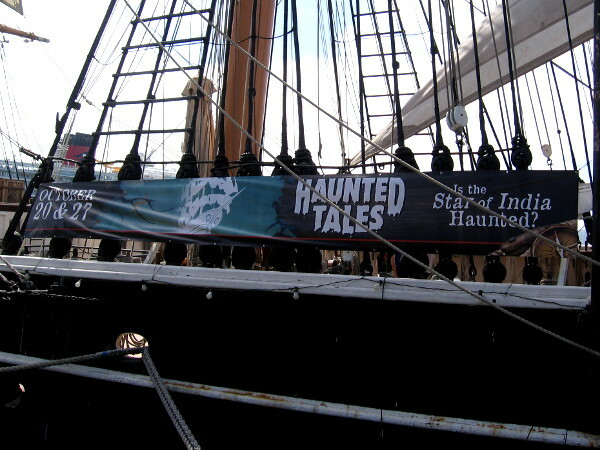 Haunted Tales is returning to the tall ship Star of India just before Halloween. 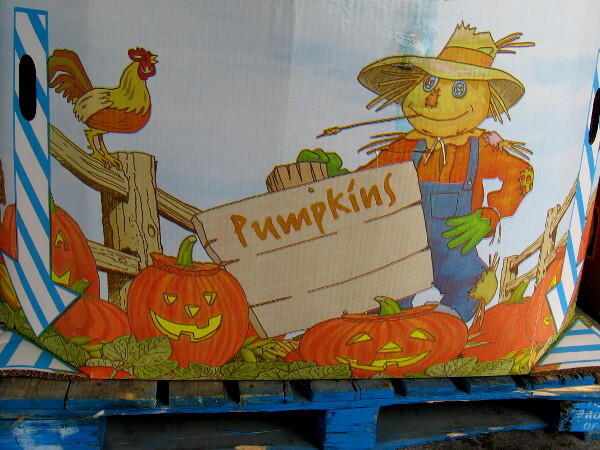 Pumpkins are beginning to arrive at grocery stores. This outdoor bin was still empty a couple days ago, but ready. 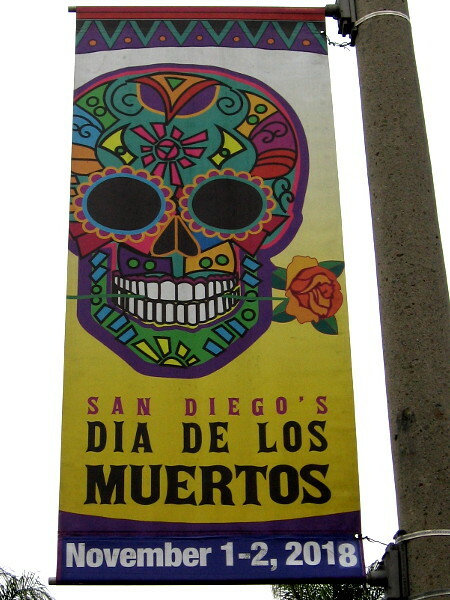 Dia de Los Muertos is coming again to Old Town San Diego State Historic Park. It’s one of my favorite events. 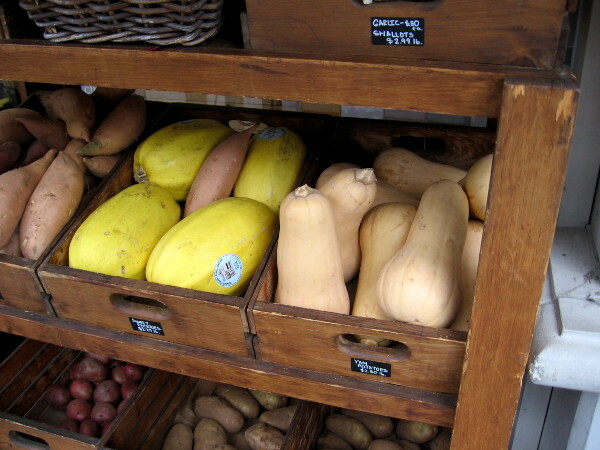 A nice harvest of squash can be found along India Street in Little Italy. These leaves are turning at the Little Italy trolley station. Wait a minute. Those are leaves, right? 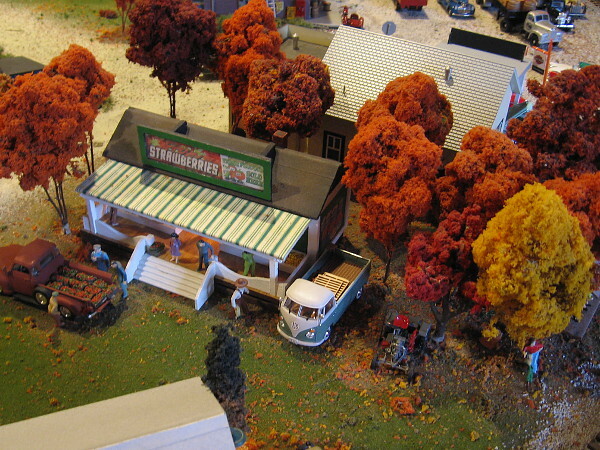 Colorful autumn leaves fill tiny trees at the Old Town Model Railroad Depot! 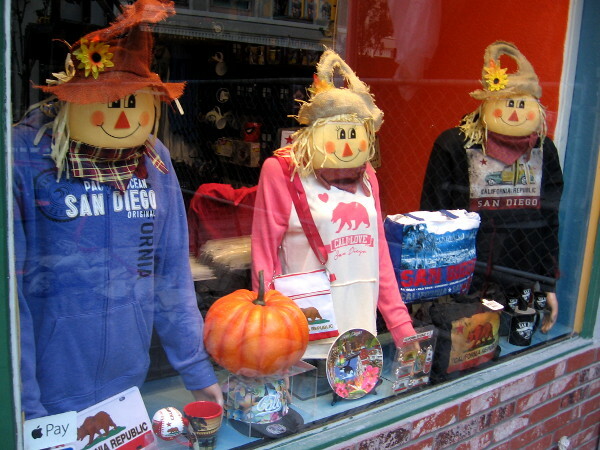 Posted on September 24, 2018 Tags autumn, downtown, funny, halloween, humor, little italy, old town, photography, san diego, san diego river, thanksgiving, trees, walking, weather5 Comments on Signs of autumn appear in San Diego. 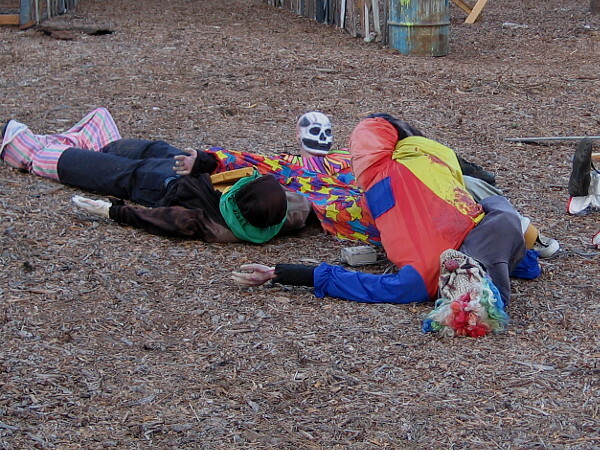 Creepy clowns, ghosts and demons in a park! 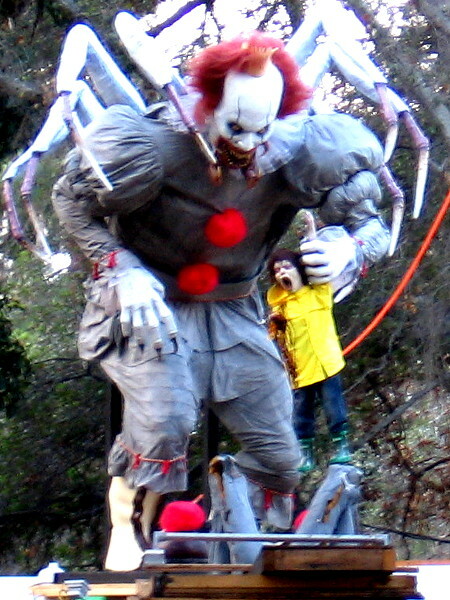 Legions of creepy clowns, ghosts, demons and undead are slowly gathering in a popular city park. I photographed them lurking among shadowy trees and spooky buildings, waiting to terrify nice, innocent, completely unsuspecting people who happened to be walking down the park trail! 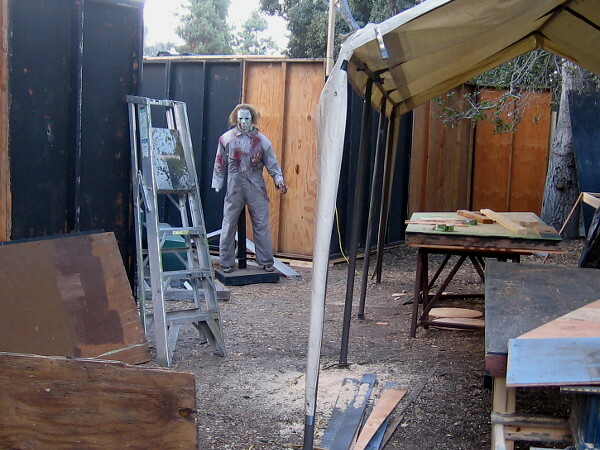 As you might have guessed, this morning I took a stroll around the perimeter of The Haunted Trail, which is being built once again in the southwest corner of Balboa Park for Halloween! 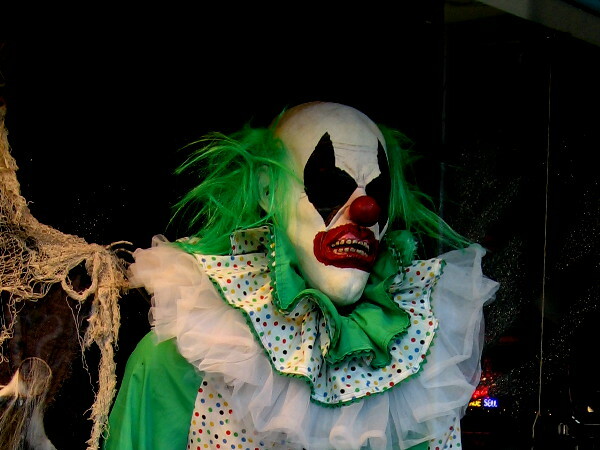 Posted on September 19, 2018 September 20, 2018 Tags balboa park, clowns, entertainment, ghosts, halloween, horror, monsters, photography, pop culture, san diego, scary, spooky, undead, zombies1 Comment on Creepy clowns, ghosts and demons in a park! 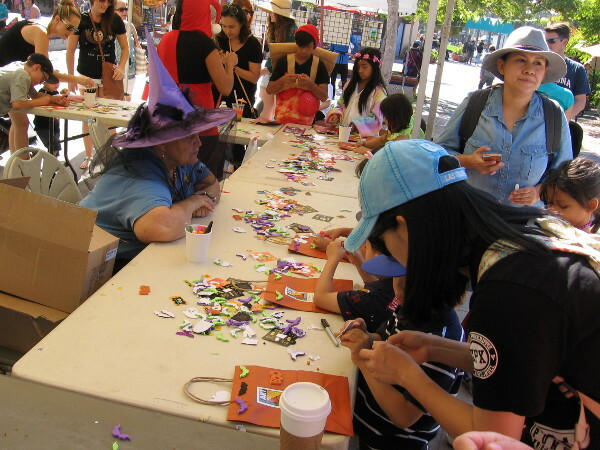 Halloween fun and creativity in Balboa Park! 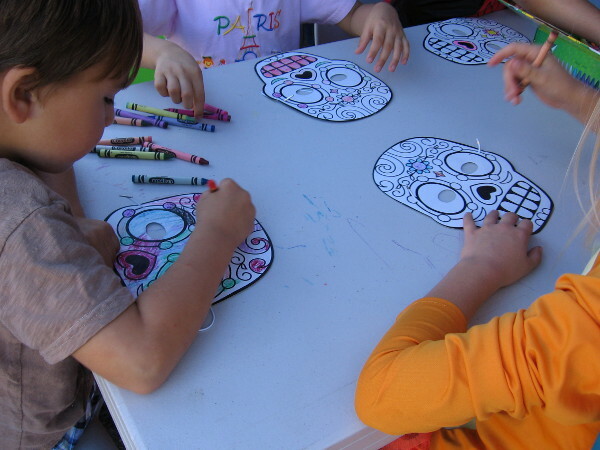 Kids at Halloween Family Day in Balboa Park color Dia de los Muertos skulls. Today was Halloween Family Day in Balboa Park! 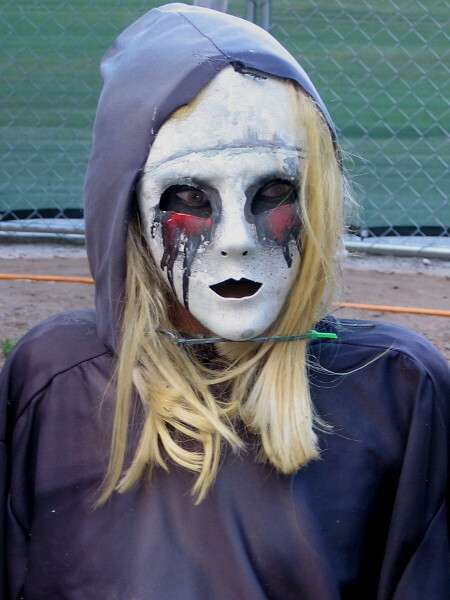 A lively crowd filled the park, roaming about in fun costumes, trick-or-treating, eating yummy food truck offerings, and enjoying all sorts of entertainment. 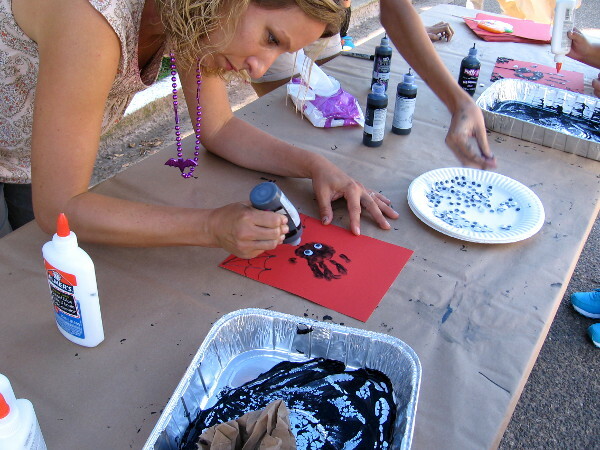 But the coolest part of the event, in my opinion, was the opportunity to create all sorts of colorful Halloween art! 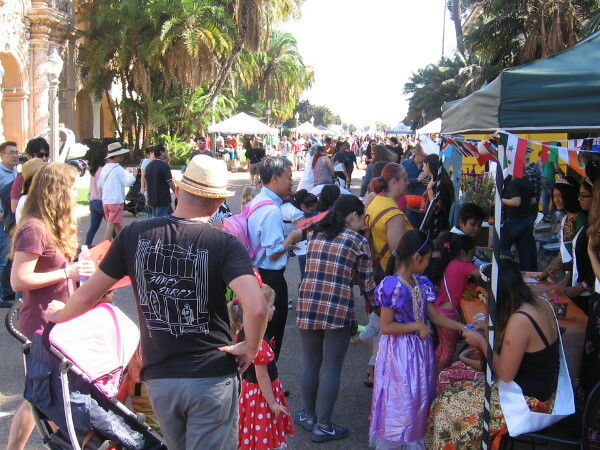 Many families filled El Prado during Balboa Park’s annual Halloween Family Day. 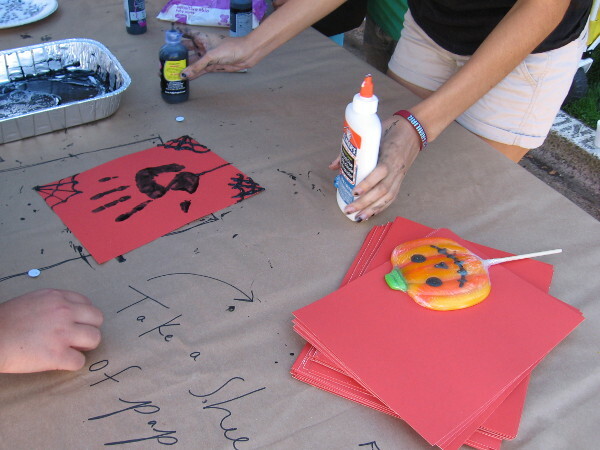 The Timken Museum of Art had a table that helped kids learn how to make some cool Halloween artwork. A scary hand print and nearby smiling pumpkin treat. A panda and his pals were providing music in the Plaza de Panama. Young and old in Halloween costumes look on. 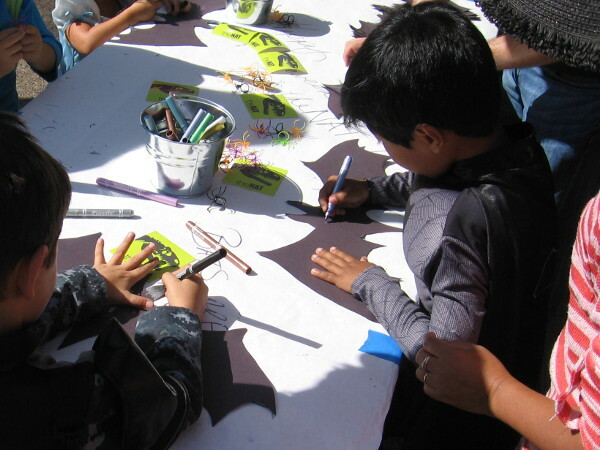 Decals were being applied to trick-or-treat bags in Spanish Village Art Center. 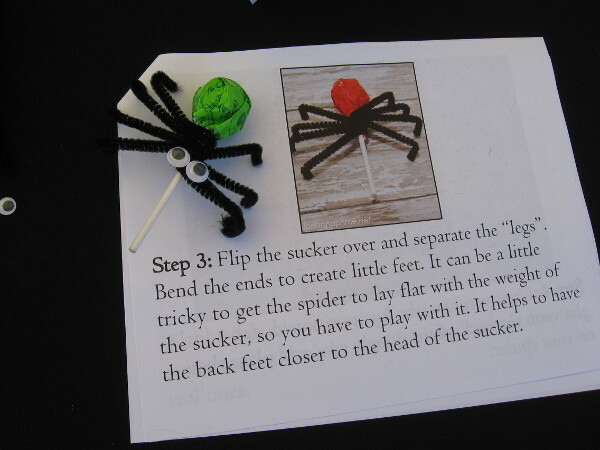 Anyone at the Japanese Friendship Garden could make a cool spider sucker holder using craftily bent black pipe cleaners. 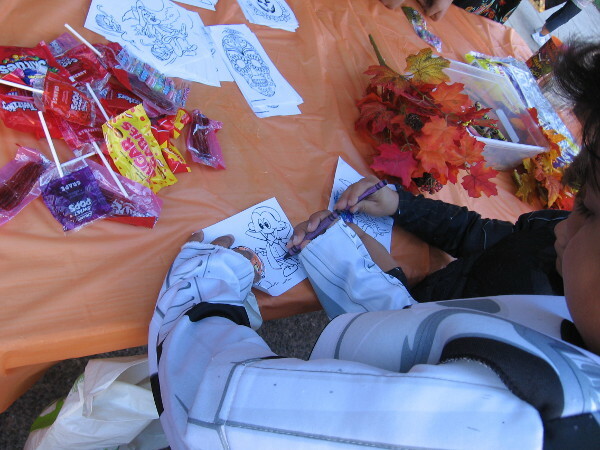 More fun Halloween coloring at the International Cottages table on El Prado. 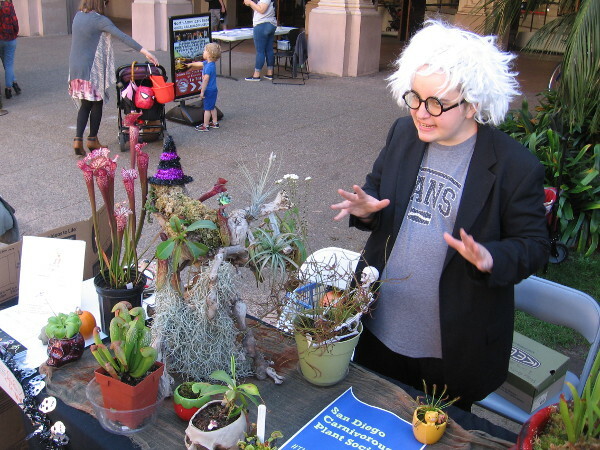 Flesh-eating plants displayed by the San Diego Carnivorous Plant Society appeared even scarier than usual! 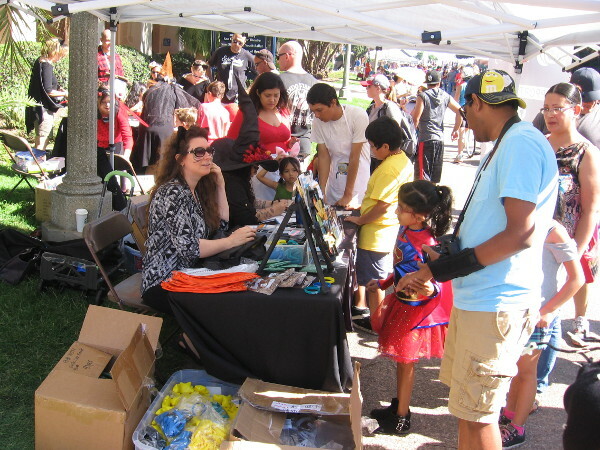 The San Diego Public Library was at the annual event promoting reading. Something a bit spooky might be perfect today. 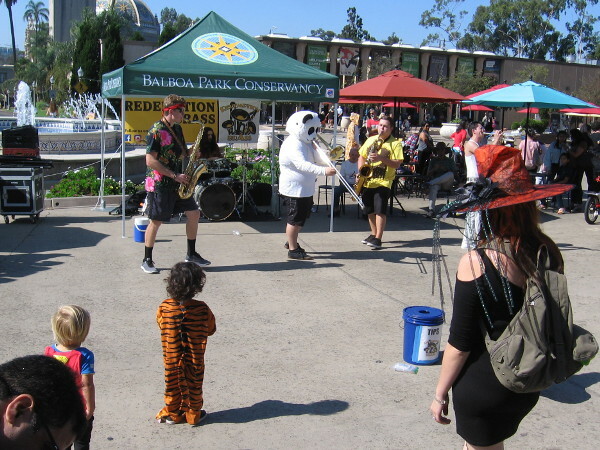 Even the Balboa Park electriquettes were dressed up for the occasion! 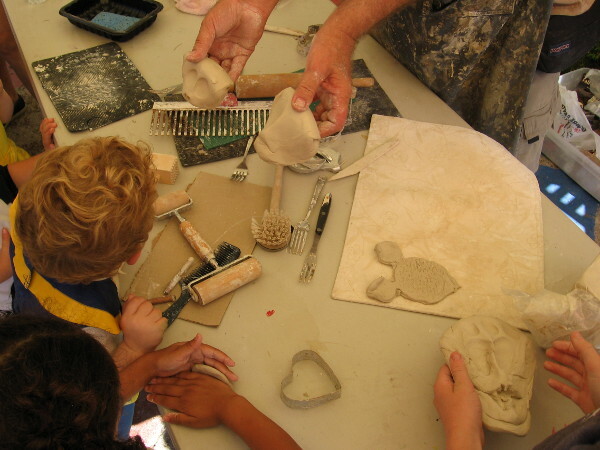 Making bats at the San Diego Natural History Museum table. 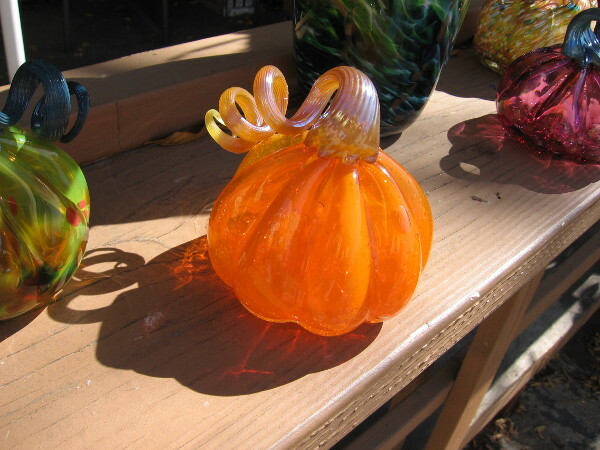 A beautiful glass pumpkin, that was made by the glassblowers of Spanish Village. 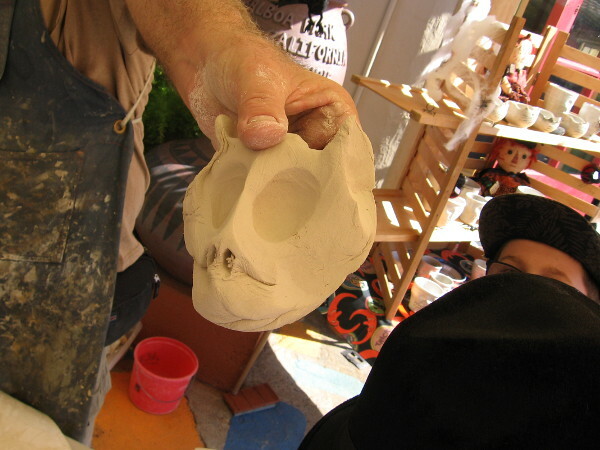 Kids learn how to sculpt in Spanish Village during Halloween Family Day. Posted on October 28, 2017 Tags art, balboa park, color, cool, creativity, events, family, fun, halloween, kids, photography, san diego, scary, spookyLeave a comment on Halloween fun and creativity in Balboa Park! 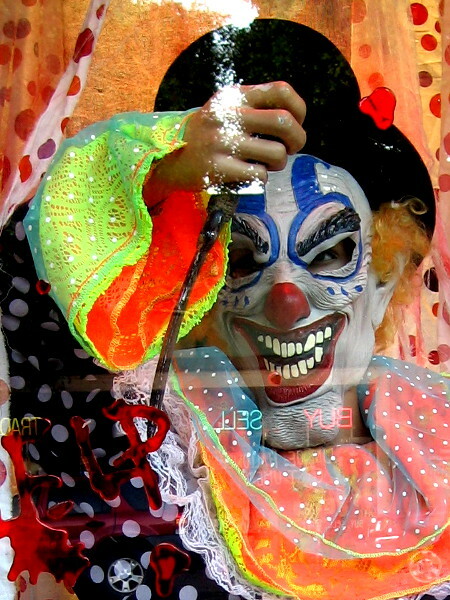 Six creepy Halloween faces in shop windows. This morning I walked past a variety of small shops in Hillcrest. 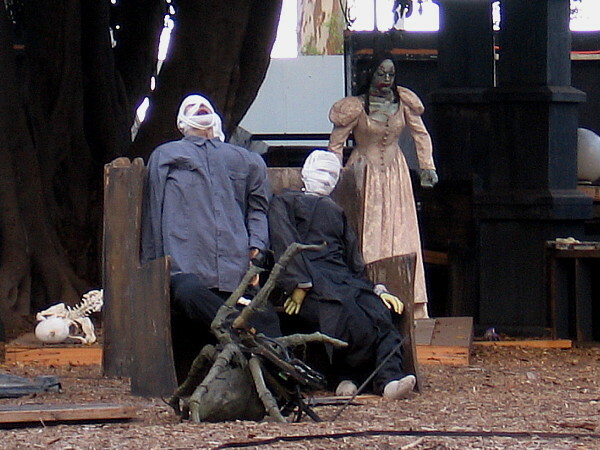 Several had placed mannequins dressed up for Halloween in their windows. On a whim I took photos. When I goofed around a bit this evening editing the images, concentrating on the creepy faces, I managed to terrify myself. 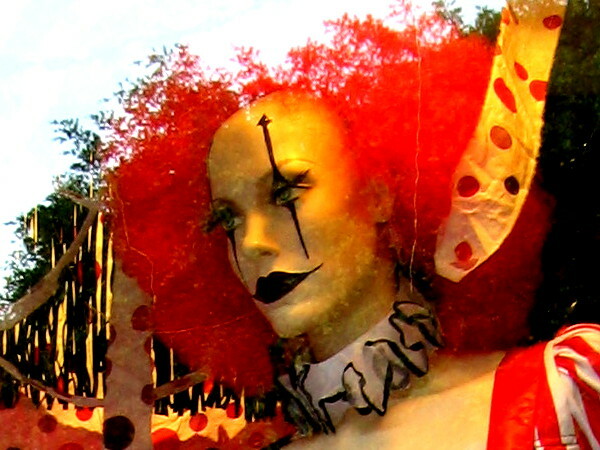 Posted on October 5, 2017 October 6, 2017 Tags aliens, clowns, costumes, creativity, halloween, hillcrest, horror, photography, scary, shops, spooky, strange, weird, windows1 Comment on Six creepy Halloween faces in shop windows. 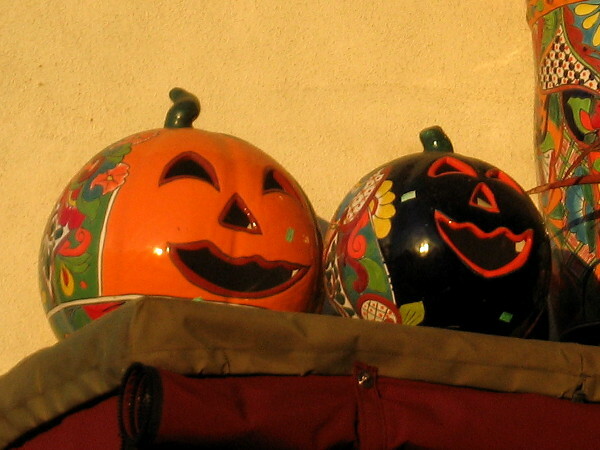 Pottery pumpkins smile outside a gift shop in San Diego’s festive Old Town. I see pumpkins! Everywhere! It must be mid-October in San Diego! 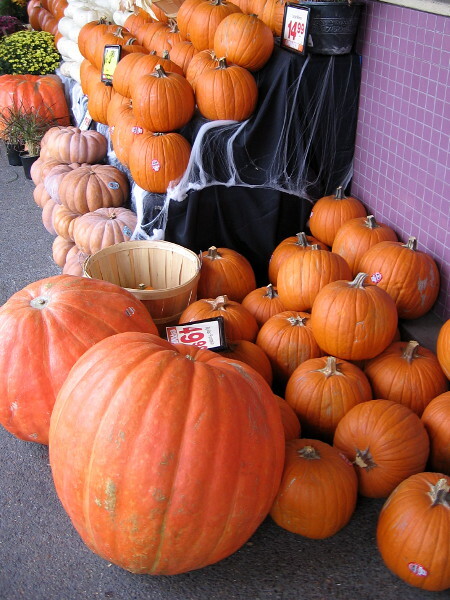 Pumpkins, pumpkins everywhere! Big ones and little ones! Grocery stores are overflowing. It must be mid-October. 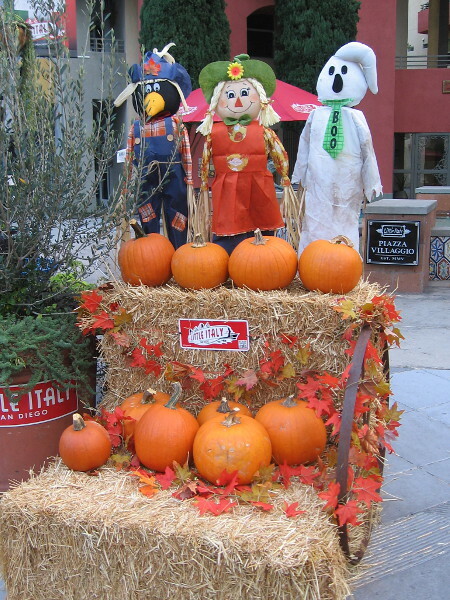 A fun display of pumpkins and Autumn characters on a street corner in Little Italy. Halloween is on the way! Boo! 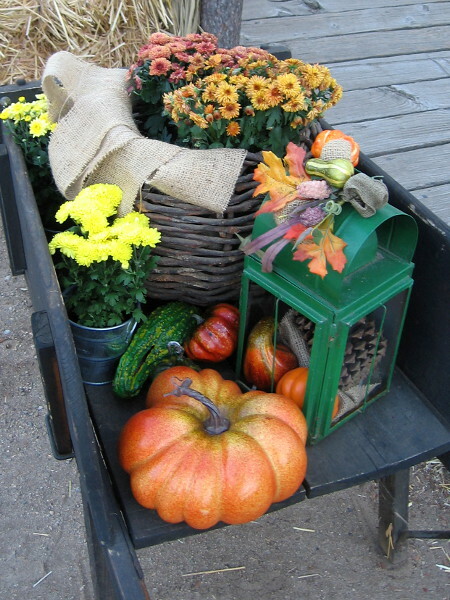 A beautiful arrangement of flowers, pumpkins and gourds graces a rustic Old Town boardwalk. More golden Autumn colors suggest it’s time to harvest the good things in life. 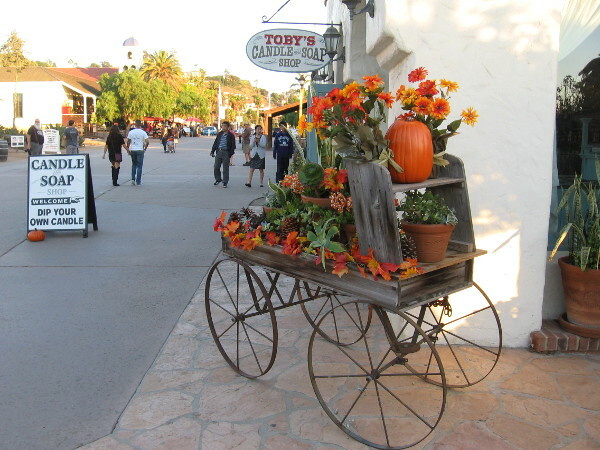 A pumpkin and warm flowers on an antique cart in Old Town San Diego. 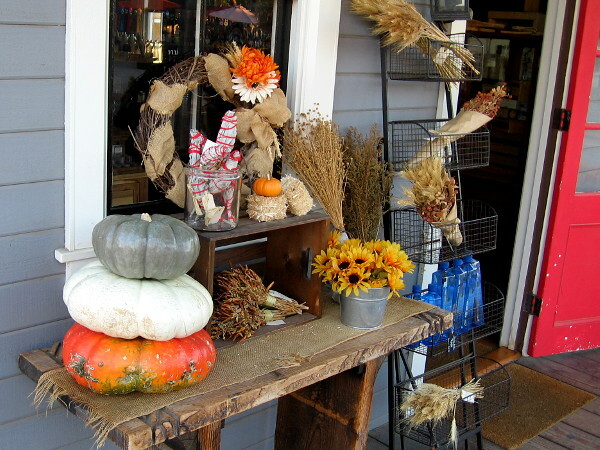 Posted on October 19, 2016 Tags autumn, city life, color, flowers, fun, halloween, happy, life, little italy, old town, photography, san diego, shops, streetsLeave a comment on Pumpkins, pumpkins everywhere! 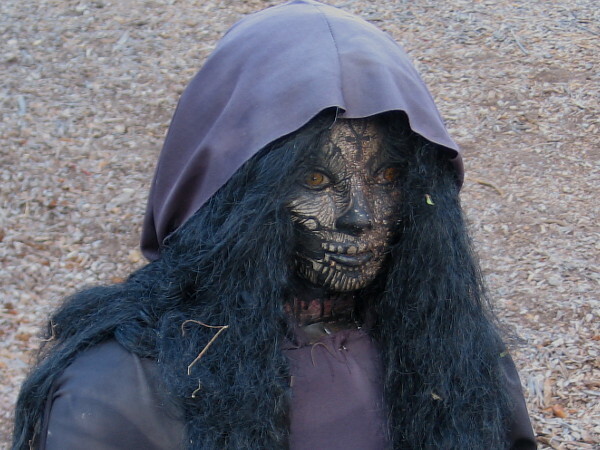 Funny, scary faces in downtown as Halloween nears! 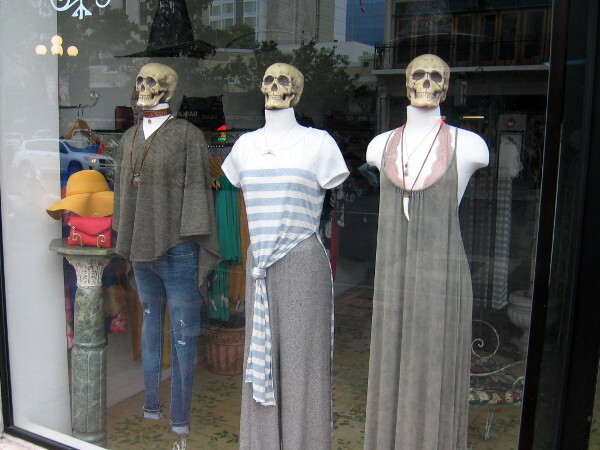 Scary skulls on mannequins, gazing out from a Gaslamp shop window. Halloween must be approaching! I was frightened out of my wits (and amused) this morning during my walk through the Gaslamp Quarter. 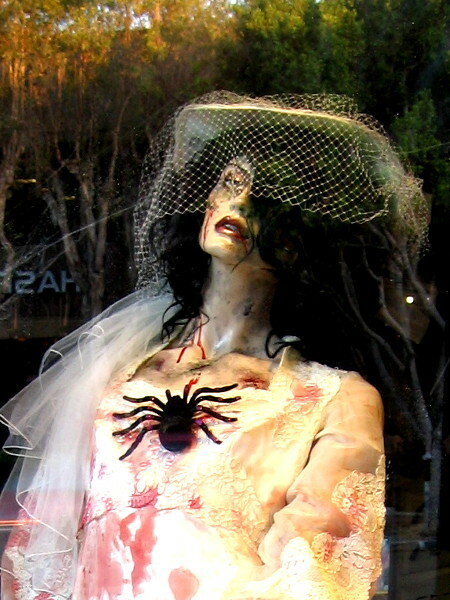 Halloween must be coming to downtown San Diego! 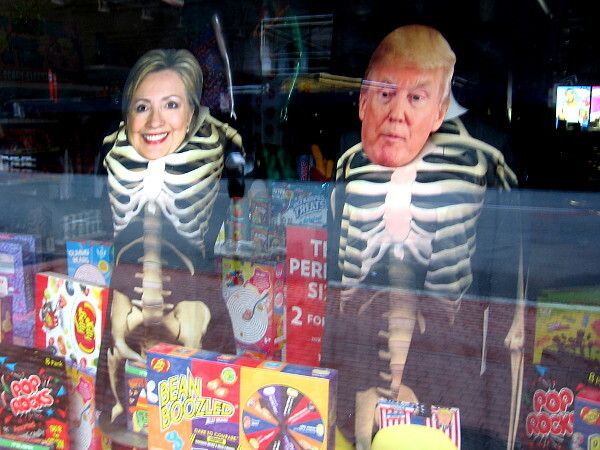 For Halloween, Hillary Clinton and Donald Trump have become skeletons in this store window. 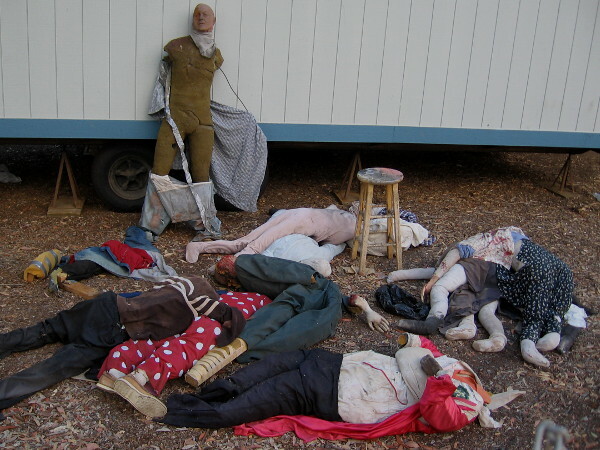 Does anyone need a costume? Trick or treat! 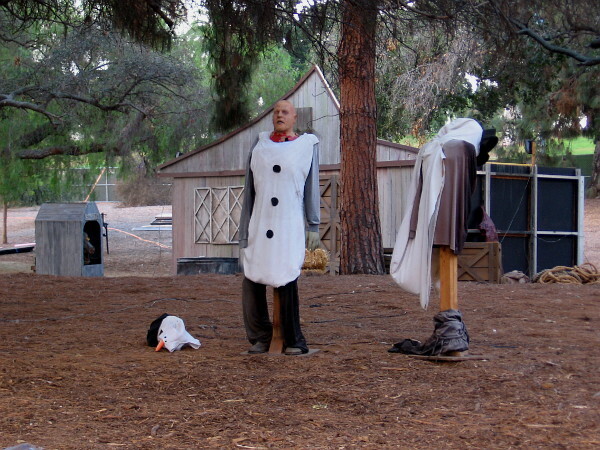 And here we have some happy scarecrows and a pumpkin. Autumn has come to downtown San Diego! 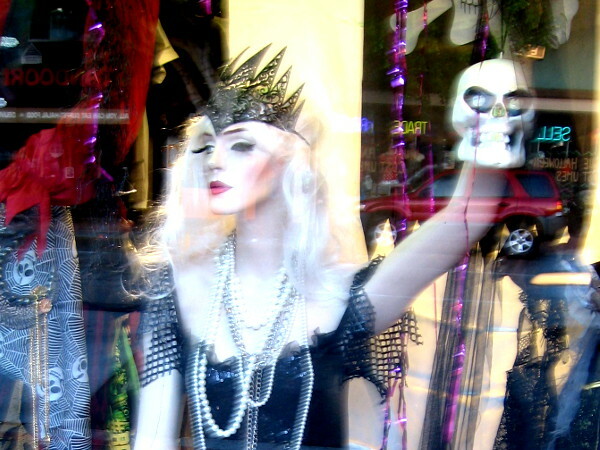 Posted on October 11, 2016 Tags autumn, downtown, funny, gaslamp, halloween, humor, politics, san diego, scary, shops, skeletons, spooky, walking, windows5 Comments on Funny, scary faces in downtown as Halloween nears! 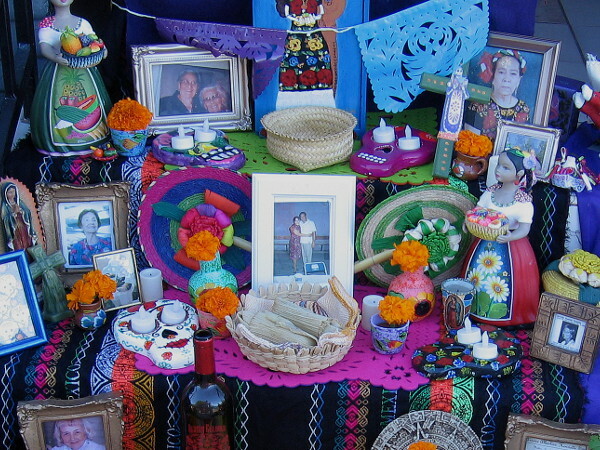 Alive in memory: one Dia de los Muertos altar. 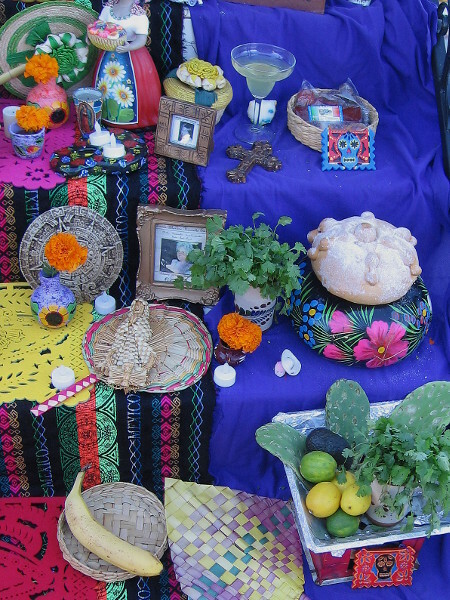 A traditional Dia de los Muertos altar in Sherman Heights summons ancestors and loved ones who have passed from this world. I went for a long walk this morning. My feet carried me through Sherman Heights, a neighborhood directly east of downtown San Diego. 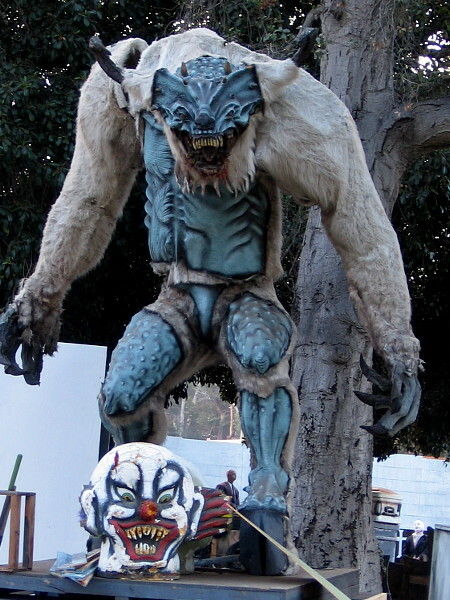 I was hoping to see some of the community Dia de los Muertos (Day of the Dead) altars. These outdoor altars, distributed about a few residential streets, were the focus of yesterday’s popular Sherman Heights Muertos Festival, which I missed. 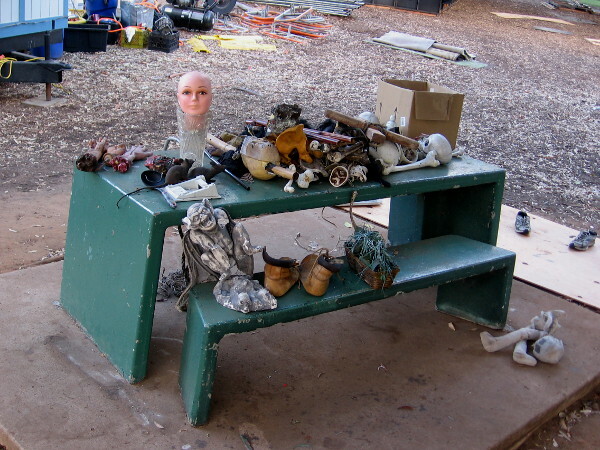 Heading down 24th Street, I spotted one elaborate altar near the sidewalk and was struck by the rich, heartfelt symbolism. Loved ones who’ve “passed to the other side” are remembered with reverence on Dia de los Muertos, and their spirits are enticed back among the living. 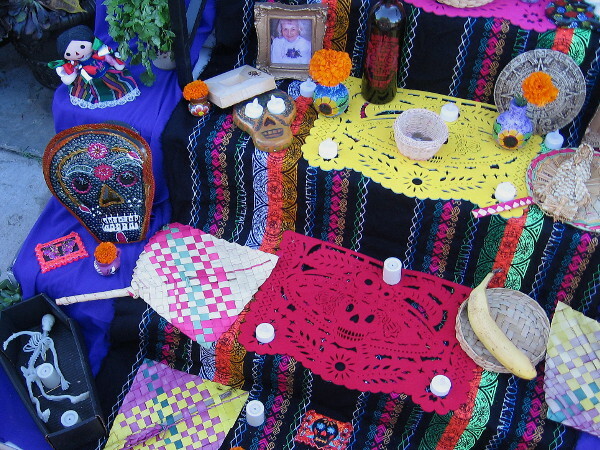 Traditional items featured in the altars can include sugar skulls, samples of the deceased person’s favorite food, pan de muertos (bread with a small human figurine baked inside), seeds, flowers, portraits of the dead, candles, alcohol (to toast the arrival of spirits), and papel picado (decorative perforated paper which represents the fragile nature of life). I don’t know whose spirits are being summoned by this particular altar. I can tell that precious memories are being kept alive among the living, and that those memories contain whole lifetimes of love. 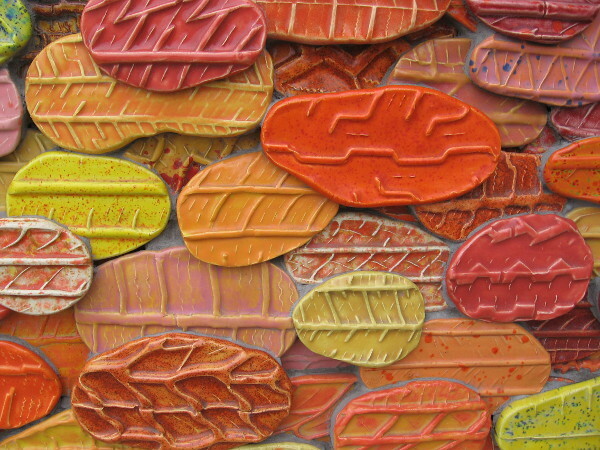 Powerful symbols of life, love, hope and renewal on display in this colorful outdoor altar. In Mexico, Dia de los Muertos is a joyous celebration of the dead. 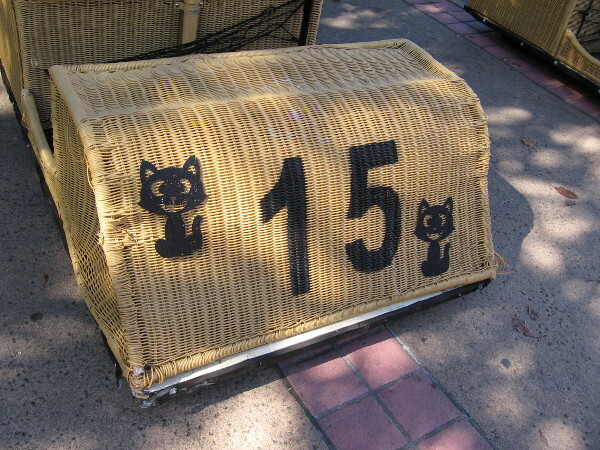 It is a beloved time in culturally rich San Diego. A beautiful outdoor Dia de los Muertos altar in Sherman Heights. An ordinary family cherishes extraordinary memories. 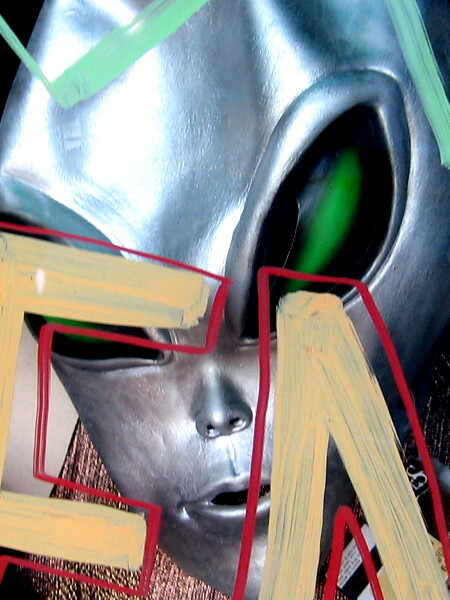 Thanks to all you great folks who visit my fun blog. And thanks for sharing! Join me on Facebook or Twitter. 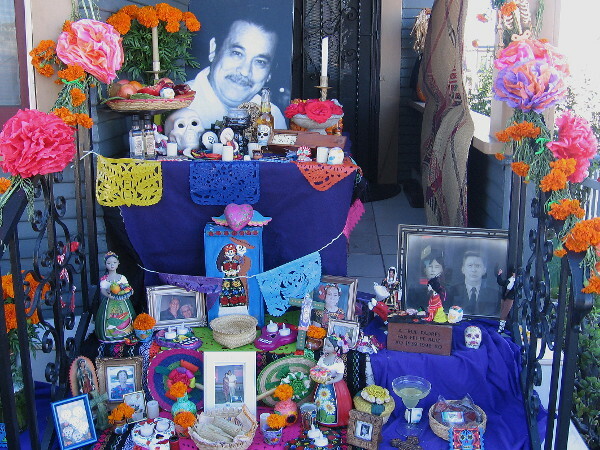 Posted on November 1, 2015 October 26, 2018 Tags community, culture, diversity, events, family, ghosts, halloween, life, love, memorials, mexico, religion, sherman heights, spiritual10 Comments on Alive in memory: one Dia de los Muertos altar.